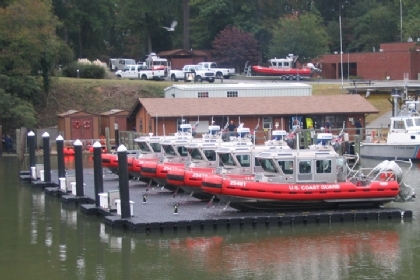 JetDock floating lift systems allow government agencies to create waterside facilities that are environmentally friendly, and modular, changeable and portable. 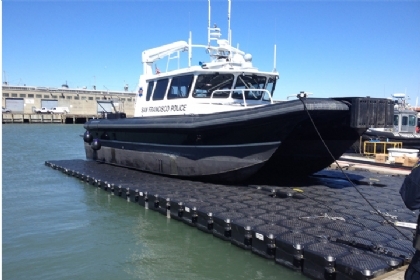 JetDock government boat lifts provide dry docking launch and retrieval for response boats in seconds, and provide excellent access for hull and engine maintenance. 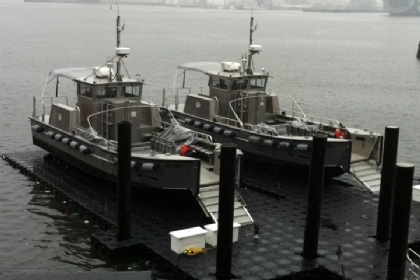 Dry docking vessels will reduce haul outs allowing agencies to focus on core duties. 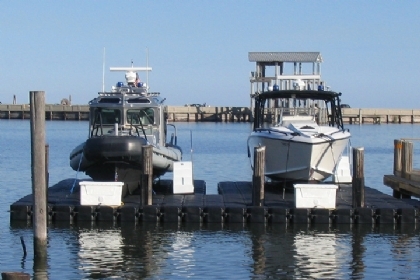 Our easy drive-on floating lifts replace traditional lifts, boat hoists and trailers, and provide a convenient dry dock for outboard boats, stern drives, jet drives and personal watercraft of all shapes and sizes. 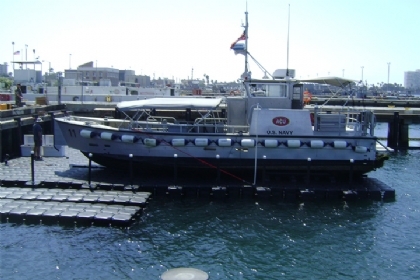 For e-catalogs of our military docks, please see our PDF Library. In keeping your vessel high and dry, and clean, you will minimize breakdowns and improve reliability and performance. Most importantly response vessels can be kept on the water for quick launch without being water stored. The Performance AquaPad Boat Dock’s submersible stern section makes launching and retrieval effortless. Dry docking is safe and controlled, performed completely from the security of the helm station. Performance Systems will work in deep water, shallow water, calm water and provide great vessel protection in rough water. Floating marina slip systems are available in any shape, size or design and will work in deep water, shallow water or no water. Your modular floating “T” shape dock of today can be a multi-slip “F” shape dock tomorrow with simple widening or lengthening.